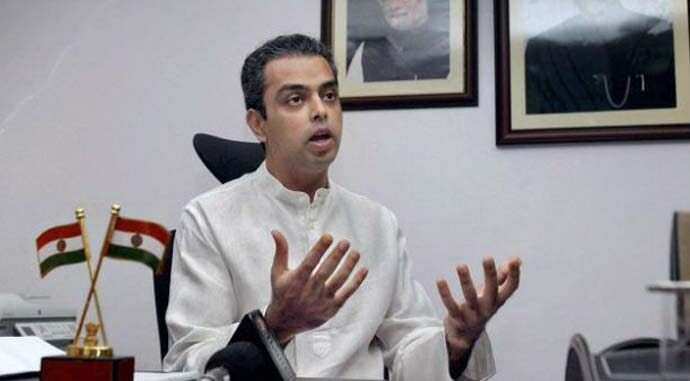 Milind Deora has taken over the Mumbai Regional Congress Committee chief, replacing Sanjay Nirupam recently. Deora spoke with Rohit E David about the Congress' chances in Maharashtra, politics within the party and the issues of this election. Q. Hasn’t Priyanka Gandhi's entry into politics in fact been blunted? Priyanka Gandhi's entry in active politics is timely and encouraging — she is a star in campaigning and she is a very efficient organiser. The party cadre across the country is thrilled by her entry and particularly in Uttar Pradesh, her public connect will pay rich electoral dividends. Q. But didn’t Balakot even further blunt the Congress' appeal in this election? The Congress party is in favour of any action that the forces and the government deem fit. As a party, we don't believe in politicising actions by the armed forces. We are going to the people with the track record of the Modi government and our own policies and programmes towards true, real and visible economic and social development. Q. Don’t you think that BJP has won the national security war over the Congress, which looks like it's still trying to appease certain groups via AFSPA, etc.? I don't think so — let's wait for the results. Q. Meanwhile, Maharashtra was a Congress stronghold — how do you see the situation there now? Well, Maharashtra still is a Congress stronghold. There is no village in the state that does not have Congress workers. The situation has improved a lot for us and it has become favourable. We have given the best candidates in the state. Rural distress and the misgovernance of the Sena-BJP combine is known to people. The Congress' performance in this state will surprise many. Q. What are the real issues this election? Is it jobs, is it rural distress, the Ram Mandir, or the BJP's version of Hindutva? India is a big country. One theme may not work everywhere. It will be a mix of many issues that will dominate this election — jobs and rural distress at the foremost. Emotive issues raised by the BJP are not resonating with voters. Q. You have taken over the Maharashtra Congress party recently — do you see a revamp coming? I have taken over the Mumbai Congress. We have a vibrant workers' network and an influential set of leaders. We are working together to give an alternative to the current politics of Mumbai. Q. But in Mumbai, aren't there two Congress groups of Milind Deora and Sanjay Nirupam? There is only one group — the Mumbai Congress. Q. Realistically, hasn't the BJP-Shiv Sena alliance, renewed afresh, hampered the Congress' chances in Maharashtra? Actually, the Sena-BJP's opportunistic alliance has, on the contrary, aided the way for the Congress to be back in Maharashtra.